The series: Texas leads 26-10. Longhorns have won 12 straight over the Jayhawks. 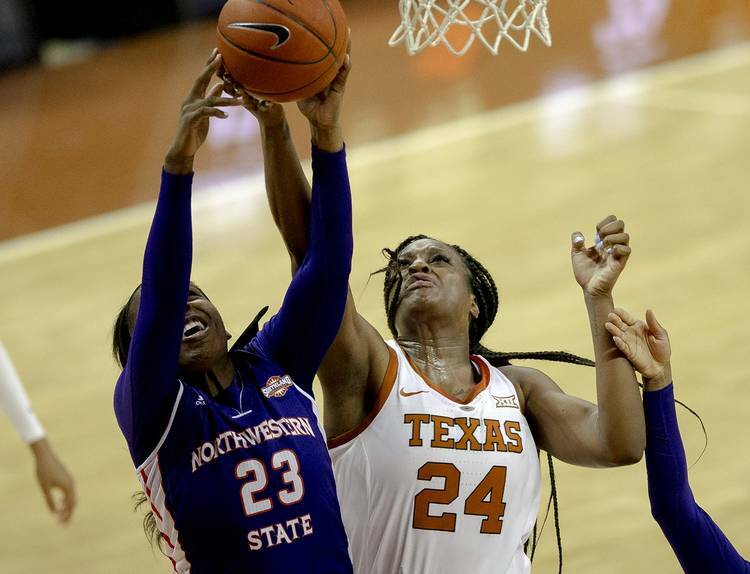 About the Longhorns: Coming off a conference loss at Kansas State, the Longhorns got back on track last Saturday with a 73-67 victory over TCU. Holmes scored a season-high 17 points while Williams had 15. Texas has a 21-0 series lead over the Horned Frogs in games played in Austin. … Texas ranks third in the nation (out of 349 teams) in rebounding margin, averaging 13.1 more boards than opponents. The Horns rank 17th overall in offensive boards. … The next game for Texas will be against Texas Tech at noon Saturday in Lubbock. It will not be televised. About the Jayhawks: Despite 14 points from Lyons, Kansas is coming off a 72-62 home loss Saturday against Oklahoma State. … KU ranks second in the Big 12 (behind Iowa State) with 7.7 made 3-pointers a game and is second in 3-point percentage (.367). By contrast, UT ranks ninth at 5.6 in 3-pointers made per game and sixth in 3-point percentage (.341). … With two treys against Oklahoma State, Kopatich has made a 3-pointer in 12 of the 15 games she’s appeared in. She fell one rebound shy of a double-double, ending the night with 10 points and a game-high nine rebounds.